Several years of legal battles related to the Interstate 35W bridge collapse are finally over. On Tuesday, the state has resolved the last lawsuit related to the 2007 disaster. Jacobs Engineering has paid Minnesota $8.9 million. An executive for the California company would not comment. But in the agreement with the state, the firm admits no wrongdoing. The agency received the final installment of the settlement yesterday, said Chris Joyce, a spokeswoman for the Minnesota Department of Transportation. "This ends all litigation related to the I-35W bridge collapse," Joyce said. State officials had kept quiet about this final chapter in the I-35W bridge legal saga. The settlement was reached in October in Hennepin County District Court and came to light when the Associated Press found it in a disclosure of pending cases the state makes before it sells bonds. Joyce said the agency made no public announcement when the agreement was reached because it did not consider the case settled until the final payment arrived. For its part, Jacobs Engineering said in the agreement it wanted to avoid the cost of protracted litigation — a complex lawsuit that might have gone to the U.S. Supreme Court. Jacobs did not design the old I-35W bridge, but in 1999 it acquired the successor of the company that did. 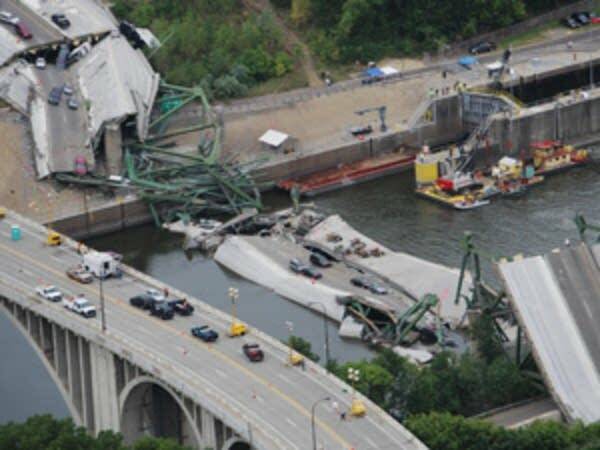 After the structure fell into the Mississippi River during rush hour Aug. 1, 2007, killing 13 people and injuring 145 more, Minnesota lawmakers set up a compensation fund for victims. As part of that legislation, they nullified a statute of limitations that would have prevented the state from seeking damages. In May, the nation's highest court declined to hear Jacobs' challenge to that law, and the company had little recourse. State Sen, Ron Latz sponsored the legislation that set up the compensation fund. While the state recovered from Jacobs and another firm less than half of the nearly $37 million paid out in compensation to victims, Latz said it was the right thing to do, not just for the victims and their families but also for Minnesota taxpayers. "I expected that the state would recover something, and this is right around where I anticipated where we would end up," Latz said. "I think it's a fair way to have resolved this." Besides the state compensation fund, survivors and the families of those who died received another $52 million in 2010 from URS Corporation, the firm that had inspected the bridge before it collapsed. Attorney Chris Messerly represented the plaintiffs in that case and said he is glad all the litigation is over. "I know for all the people we represented who were on the bridge who lost loved ones and had their lives changed forever — every time they hear something on the news it's just another reminder of the misery they went through," Messerly said. "They're all trying to get on with their lives, and most are doing quite well." 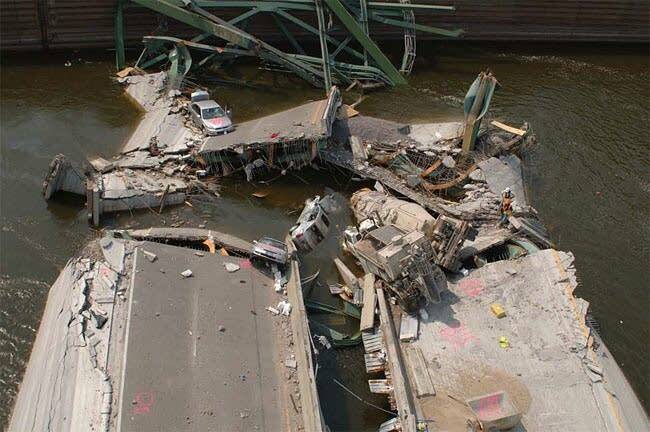 With the lawsuits finally at an end, Messerly said the only public reminders of Minnesota's worst-ever civil engineering disaster will come just once a year, on Aug. 1.